There has been more than one band known as The Submarines 1. The Submarines are composed of John Dragonetti, who previously performed as Jack Drag, and Blake Hazard, who is the great-granddaughter of novelist F. Scott Fitzgerald. The romantically involved couple collaborated on Hazard's 2002 album "Little Airplane", but ended their relationship soon after. After they resumed their relationship, the duo recorded "Declare A New State!" in 2006 as The Submarines. 1. The Submarines are composed of John Dragonetti, who previously performed as Jack Drag, and Blake Hazard, who is the great-granddaughter of novelist F. Scott Fitzgerald. 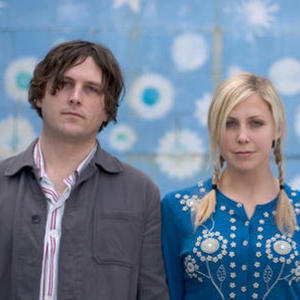 The romantically involved couple collaborated on Hazard's 2002 album "Little Airplane", but ended their relationship soon after. After they resumed their relationship, the duo recorded "Declare A New State!" in 2006 as The Submarines. Since then, Hazard and Dragonetti have married and recorded two further albums as The Submarines: "Honeysuckle Weeks" (2008) and "Love Notes/Letter Bombs" (2011). In 2006, the duo's song "Brighter Discontent" was used in the fourth season finale of the American television series "Nip/Tuck", in which the characters of the show lip-synched the entirety of the song. The duo's song "You Me & The Bourgeoisie " was used in a commercial for the Apple iPhone 3GS in 2008. Another Submarines song, "Submarine Symphonika" was used in a subsequent commercial for the iPhone 3GS later that year. 2. The Submarines are also a band formed in Glasgow in 1986. They released their debut single on Head Records in 1987. In 1989, they changed their name to Compass Flow, recording a session for the BBC Janice Long show. Since 2004, there has been renewed interest in this band since Firestation Records included their song "I saw the children" on "The Sound of Leamingtom Spa Vol 4" Compilation, and Egg records released a compilation of their material, titled "Telegraph Signals."